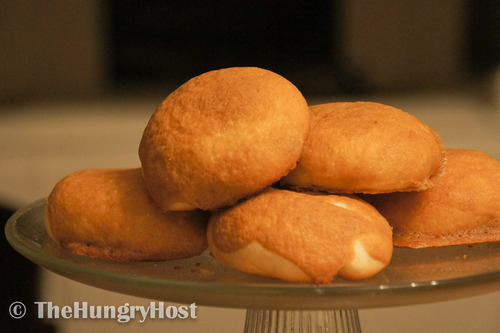 What better way to resurrect my blog than to start with a recipe for the newest craze in sweets to hit Canada, Papparoti! But unless you are fortunate enough to live in Vancouver (www.papparoti.ca), you’re faced with an expensive trip to the West Coast or … kitchen experiments. With two kids under two, I opted for the latter option. So, after a challenge from my husband and inspiration from his co-workers, this is my recipe for Papparoti. This is a long recipe with many steps, but it is well worth the effort. These treats evoke the buttery texture of croissants and the dense richness of sweet rolls with the sweet crunch of a coffee-caramel topping – the perfect snack to pair with a hot drink! Mix water roux ingredients (water and flour) together in a small saucepan. 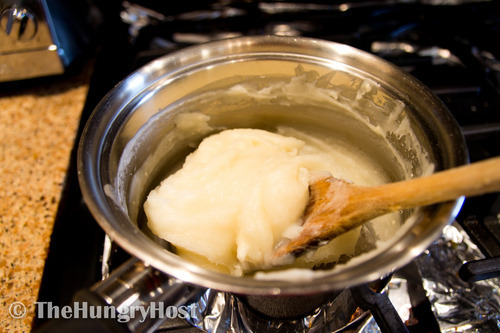 Mix constantly over medium heat until it forms a thick paste. 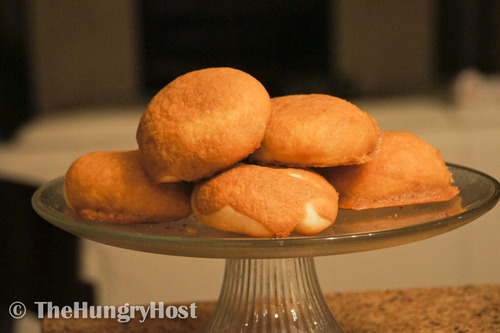 Remove from heat, cover and cool to room temperature while you make the sponge dough. 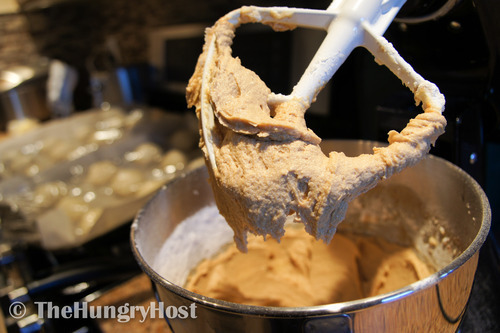 Mix all sponge dough ingredients in the bowl of a stand mixer. 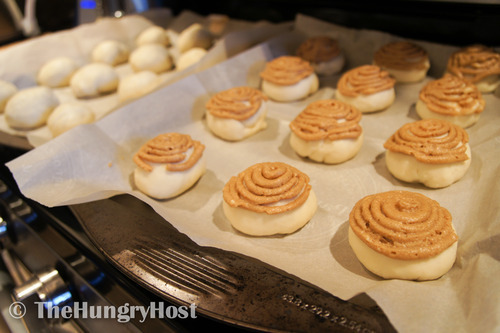 Using the dough hook attachment, knead the dough on a medium-low setting for 5-6 minutes, or until the dough forms into a sticky ball. 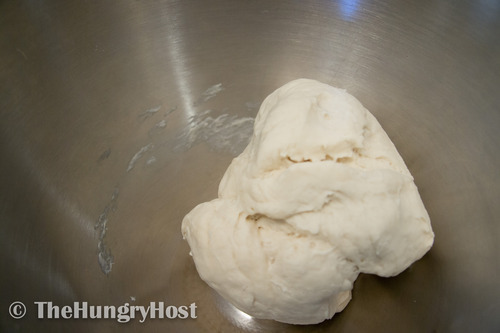 Cover the bowl and let the dough rise in a warm place until doubled in size, approximately 90 minutes. Return the mixing bowl to the stand mixer. Add the water roux to the sponge dough and knead until combined, just under a minute. Repeat with the sugar, salt and milk powder, followed by the flour. 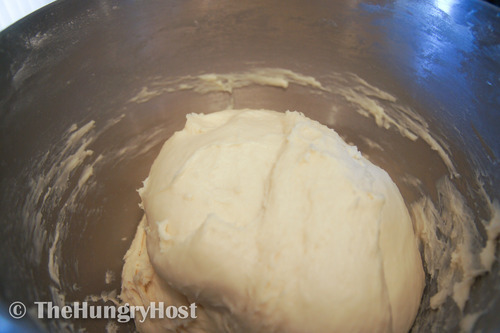 Add the butter and continue to need for 10 minutes, until the dough is sticky but smooth and elastic. Cover and let the dough rest for 10 minutes. Meanwhile, cut the chilled salted butter for the filling into 24 equal pieces. 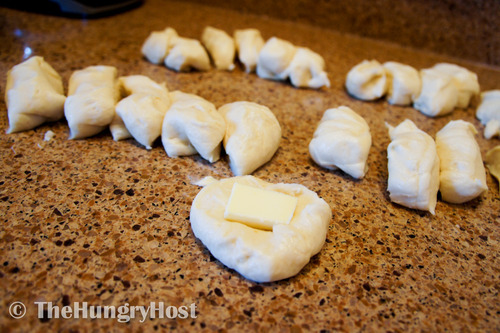 Cut the dough into 4 large pieces. Roll each piece into a cylinder and cut into 6 equal pieces, yielding a total of 24. (This is easier if you grease your hands with butter to keep the dough from sticking to your fingers.) Shape each piece into a ball, flatten it, place a piece of the chilled butter in the centre and then pinch the edges together and roll it back into a ball. Place 2 inches apart on baking trays lined with parchment paper. Cover and let rise for 50-60 minutes. Meanwhile, make the topping. Beat butter and confectioner’s sugar together until fluffy (use the paddle attachment if possible). Add the eggs and beat until foamy. 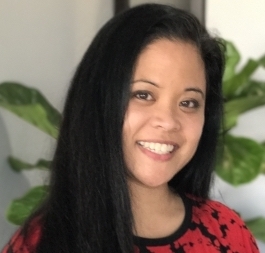 Full-time teacher, mom of three, and preacher’s wife | Travel addict | Incorrigible daydreamer | Passionate about food, Bible journaling, blogging/vlogging, random geekery, and the Oxford comma. Read more about me. We were wandering down #corydon and stopped in for cool cuts for the boys at @thelovingbarbersco Daniel fell asleep and woke up to a cool new hairdo. Well, it’s the end of an era for me! Signed out of my last LINC Online webinar at NorQuest. I love you, team! Thanks to all the students who taught me so much, and who brightened my life with their resilience, passion, and great strides in learning. Looking forward to forging a new path at RRC and PEG, after a bit of clean up in Edmonton. Say hello to the pork belly bao from @baohouse204 It’s great party food but also great warmed up in the micro for 30 secs the day after.